There are very few cars in the auto industry that have earned a reputation for delivering outstanding power and incredible performance quite like Porsche has. Over the last few decades, Porsche has become the top choice for a new high-performance sports car thanks to its amazing exterior designs and mind-blowing engine options. 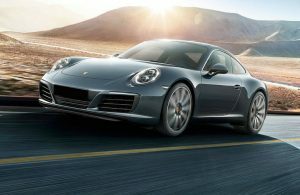 At the top of the list of best Porsche models sits the Porsche 911 Carrera S. Keep reading to learn more about the performance specs and engine options available in the Porsche 911 Carrera S model so you can make the most informed buying decision when you finally decide to get behind the wheel of the world’s best and most exciting sports car. Porsche has been giving drivers the power and performance they’ve wanted for many years. No matter which model you choose, or which engine is hiding underneath the hood, you’ll get the exciting driving dynamics you’ve always wanted when buying a used Porsche. The following information will give you a closer look at the performance specs and engine options of two used Porsche 911 Carrera S models. 2009 Porsche 911 Carrera S – This high-performance Porsche 911 Carrera S model is available as a coupe or convertible and receives a powerful 3.8-liter six-cylinder that can put out an incredible 385 horsepower and 288 lb-ft of torque. All that horsepower and torque can be sent to your choice of either a rear- or all-wheel drive system through a standard six-speed manual transmission or Porsche’s optional seven-speed dual-clutch PDK automatic transmission. 2013 Porsche 911 Carrera S – This “S” model offers increased power and performance to drivers thanks to its 3.8-liter six-cylinder engine that cranks out a spirited 400 horsepower and 325 lb-ft of torque. Send all that power and torque to your choice of either a rear- or all-wheel drive system through a standard seven-speed manual transmission or Porsche’s optional seven-speed PDK automated manual.